It was an early start, up about 4am to get ready. My train was at 7am in the city so I took a car in and was there about 6. I hadn't taken the train that early before and it was nice and quiet in the station. I went to KFC for breakfast and got to the waiting room with time to spare. 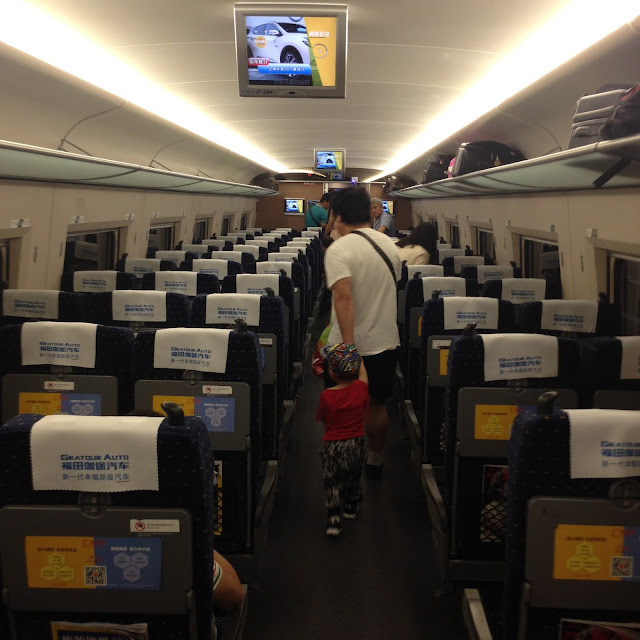 The bullet train's are very long with up to 15 different carriages! The first train was 3 hours and I had just under an hour until the second train. 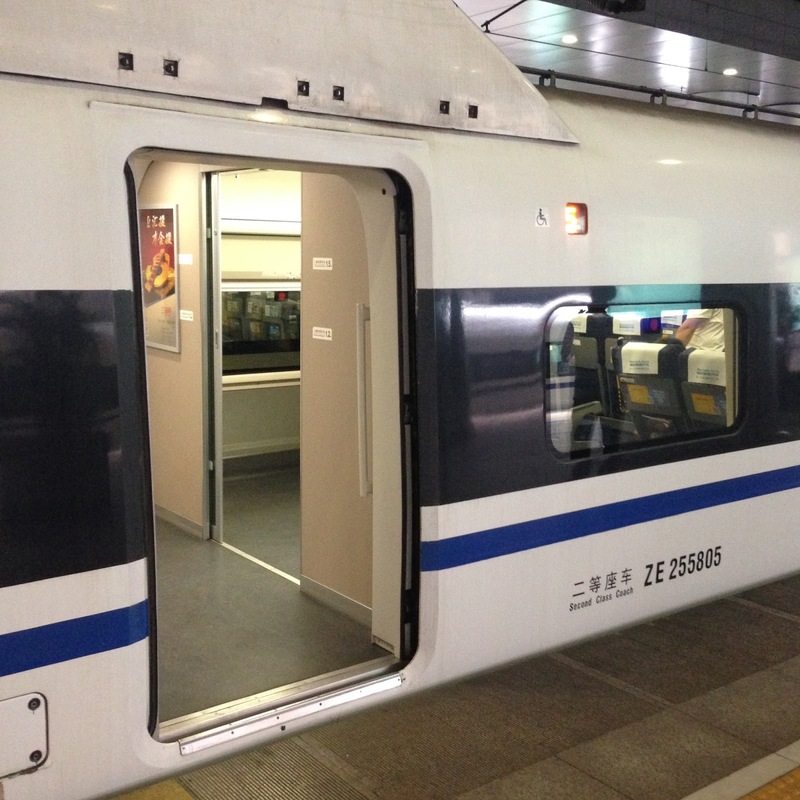 However, this also involved taking the subway from Zhengzhou East Station to main Zhengzhou station. It was going to be tight! I rushed off and got the subway and ran from the subway to the second train making it just in time! 30 minute train ride to Jiaozuo and then I headed to the hotel across the road from the orphanage and after nap time I went to see the kids! 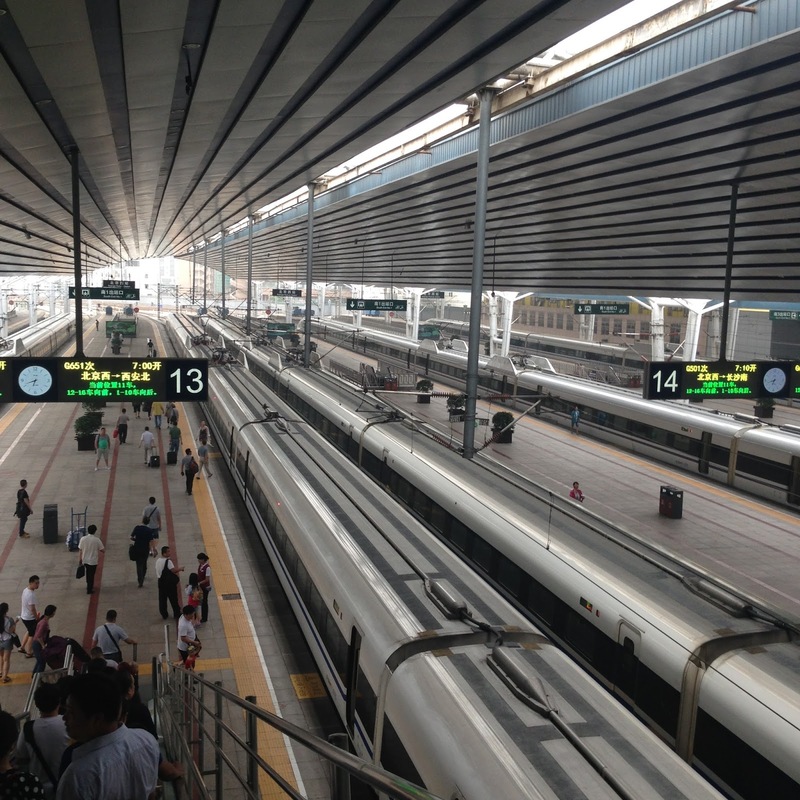 I made it to Jiaozuo and checked into the hotel which is so close to the orphanage (3 min walk! ), I had a big room though it was very cheap (only about 22€/25$ per night). I grabbed some lunch at the market between the hotel and the orphanage and went to see the kids at 2 when they woke up from nap time. They were all excited to see me, and some of the kids told me that Wesley/WenXuan will be adopted! He then told me himself too and showed me the photos of his family stuck to his wall beside his bed. He seemed upbeat! We talked through the photo book his family sent and played some games with the kids. I saw the babies (though they have all grown so much since last year!!). Lots of the kids and even some of the nannies asked about certain kids who have been adopted so I happily showed them photos or told them I would get s photo for the next day! I ate dinner with some other volunteers and went back to the hotel. It was a long long day but so great to see my favourite kids once again!